Welcome to the Acuff area on Norris Lake in Tennessee! This scenic area offers you the perfect location for vacation this year! Sitting just south of the main channel and right on the border of one of the smaller flows of the lake, this area provides an incredibly convenient location in terms of all the activities, attractions and restaurants there are to enjoy here on the water! A close marina just a bit up the water is Beach Island Resort and Marina, where you can rent boats, supplies for watersports, enjoy a fantastic meal right on the lake and so much more! Just upstream right near the marina is a great spot for food and drinks, Bubba Brew’s Sports Bar and Grill features a fun lively scene with a great traditional menu, drinks, live music, pool tables and plenty of flat screens for all the sports you want! Treat yourself to an unforgettable trip to Acuff this year on the lake, so you can spend days tubing, surfing, wakeboarding, fishing, jet skiing and so much more! You can’t beat the lake life, so come on down and make some memories here in Acuff, you won’t regret this experience! 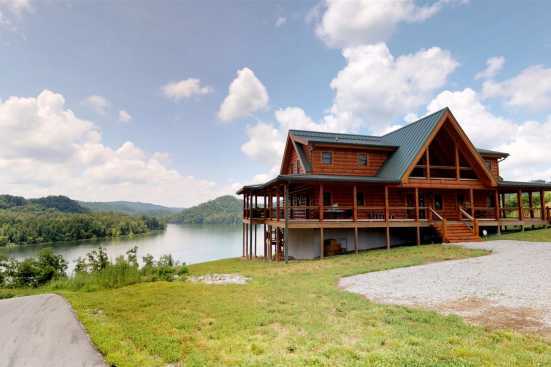 Smoky Mountains by Owners is happy to have these vacation rentals to make your trip one you’ll never forget. Book online today and begin planning the trip of a lifetime, we’d love to have you!